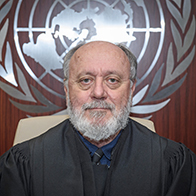 Judge Raikos is the tenth President of the United Nations Appeals Tribunal (from 1 January 2019). He is currently President of the Administrative Court of Appeal of Patras (Greece) and a permanent Associate Professor of Administrative Law, Administrative Procedural Law and Public Procurement Law at the Law Faculty of Democritus University of Thrace. Judge Raikos has been serving as an administrative Judge since 1985 (first instance Judge from 1985-1996, president of the Administrative Court from 1996-2000, and appellate Judge from 2000 –present). In 2013, Judge Raikos was appointed by the Greek Parliament, for a five-year term, as President of the Independent Authority for Public Procurement of Greece (H.S.P.P.A. ), a public body composed of 90 lawyers and other experts, with competence, among others, to review the legality of P.P. contracts throughout Greece, shape and promote the national strategy and fight corruption in the field of Public Procurement. Moreover, he has been a Professor at the National School of Judges in Greece since 2001. He studied law at the Law Faculty of Athens University, held postgraduate studies at London School of Economics and Political Science (LSE) in 1994, and holds a PhD in Law. His international activities comprise, among others, membership in transnational committees, including the Ad hoc Committee for the Negotiation of the UN Convention against Corruption (2002-2003), and acting as vice-chair of the Association of European Administrative Judges (2006-2008). He was appointed as the national representative for the Octopus Interface 2013, a specialized anti-corruption service of the Council of Europe, and has participated in numerous conferences as a speaker and senior law expert. Judge Raikos has authored several books and numerous publications. His first language is Greek, he is fluent in English, has a working knowledge of German and a basic knowledge of French. Judge Knierim is currently a judge of the Administrative Court of Appeal in Hamburg, a post she has held since 2011. Her chamber has jurisdiction over, among other things, civil service law including disciplinary matters, law of citizenship, media and data protection law. From 1994 until 2011 she served as a judge at the Administrative Court of Hamburg dealing mainly with land use planning and construction law. Judge Knierim began her studies of law at the University of Passau (Germany) and continued at the University of Geneva on a German Academic Exchange Service (DAAD) scholarship. In 1990 she completed her German legal studies at the University of Freiburg/Breisgau with the first state diploma. As a Fulbright scholar she went to Tulane Law School (USA) for a graduate programme and focused on constitutional, environmental and natural resources law. She holds a Master of Laws degree with distinction from Tulane University. In 1994 Judge Knierim finished her practical legal education in Hamburg with the second state diploma. Her first language is German. She is fluent in English, has an excellent knowledge of French and a basic knowledge of Spanish. 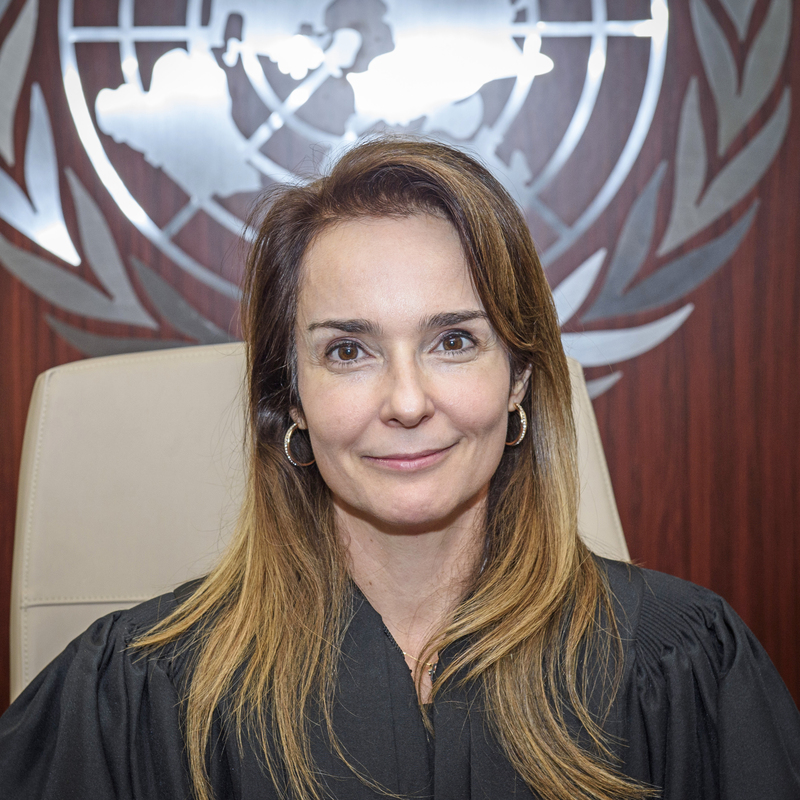 Judge Halfeld is currently a labour judge in the state of Minas Gerais, Brazil, a post she has held since 1994. She often replaces judges at the Appeals Court and takes part in panels for the selection of judges. She has a PhD in Private Law from the Université Panthéon-Assas, (Paris II), France, as well as other post-graduate qualifications from the same university, including a Master’s degree in law. From 2011 to 2013, she was a Counsellor and teacher at the National Judicial Training Centre for Labour Judges in Brazil. For 12 years, until 2013, she served as a Counsellor and teacher at the Regional Judicial Training Centre for Labour Judges in Minas Gerais state. Since 2011, she has been a strong advocate of mediation as a consensual dispute resolution mechanism. From 2012 to 2013, she was a member of the Permanent Commission for Conciliation at the Appeals Court for Labour Affairs in Minas Gerais state. She has also been a Professor on a number of post-graduate courses. She has wide international experience, having participated in several international courses, seminars, workshops and congresses, especially in Latin America and Europe, either as a lecturer or as an organizer. She has authored more than 40 published books, chapters, reports, commentaries, presentations and judgments on labour law and labour protection, bullying in the workplace, discrimination, human rights, safety and health at work, constitutional review, alternative dispute resolution, international labour standards, and trainer training. Her first language is Portuguese, she is fluent in English and French, and has a good understanding of Spanish and Italian. Justice Lussick was the sixth President of the United Nations Appeals Tribunal (July 2014 to June 2015). He is also a judge of the Residual Special Court for Sierra Leone. Justice Lussick served as a judge of the Special Court for Sierra Leone from November 2004 to May 2012, finishing his tenure as Presiding Judge of Trial Chamber II. From 2005 to 2006 he also sat as the Staff Appeals Judge for the Special Court. 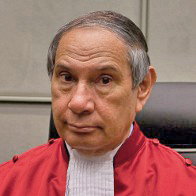 From 1995 to 2000, he served as the Chief Justice of the Republic of Kiribati. Prior to that he was appointed to the bench in Samoa in 1987 and during his tenure held appointments to the District Court, Supreme Court, Court of Appeal, Land and Titles Court and as Acting Chief Justice. He also served as Chairman of the Public Service Board of Appeal from 1988 to 1995. He was Vice President of the Commonwealth Magistrates and Judges Association (Pacific Region) from 1997 to 2000.He is also a Commonwealth Judicial Education Institute Fellow. He was called to the Bar in 1973 and has practiced as a barrister-at-law in both Samoa and Australia. He is fluent in English and has a basic knowledge of French. 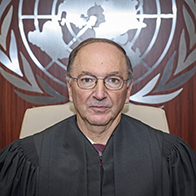 Judge Murphy was the ninth President of the United Nations Appeals Tribunal (January 2018 to December 2018). He is a Judge of the High Court of South Africa (Gauteng Division, Pretoria) and an Acting Judge of Appeal in the Labour Appeal Court of South Africa. He has also served as a Judge in the Labour Court and was South Africa's first Pension Ombudsman (the Pension Funds Adjudicator) between 1997 and 2003. Prior to that Judge Murphy worked as a labour arbitrator and mediator for the Commission for Conciliation, Mediation and Arbitration and the Independent Mediation Service of South Africa and also as an Associate Professor and Head of the Department of Public Law at the University of the Western Cape. He has served on various statutory bodies, including the Council for Medical Schemes. In 2003-2004 he was the Presiding Judge in the Special Chamber of the Kosovo Supreme Court for Kosovo Trust Related Matters. 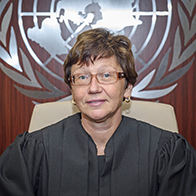 Judge Thomas-Felix was the eighth President of the United Nations Appeals Tribunal (from 30 June 2016 to 31 December 2017). 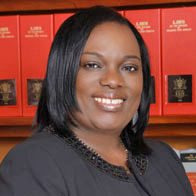 Judge Thomas-Felix is currently the President of the Industrial Court of Trinidad and Tobago, a position she has held since 2011. In November 2015, she was elected a member of the Committee of Experts on the Application of Conventions and Recommendations of the International Labour Organization initially for three years. From 2003 to 2009, she served as a Member of the Industrial Court. In 1995 she served as the first President of the Family Court of St. Vincent and the Grenadines. She was appointed a Magistrate in 1990 and is the first and only woman to hold the position of Deputy Chief Magistrate in Trinidad and Tobago. She is also the only female to have served as Chairman of the Trinidad and Tobago Securities and Exchange Commission, a role she held from 2009 to 2011. She was admitted to practice at the Bar of Trinidad and Tobago in 1986. Judge Thomas-Felix received her Bachelor of Laws degree from the University of the West Indies in Barbados and a Certificate of Legal Education from the Sir Hugh Wooding Law School in Trinidad. She also holds a Masters of Law in International Legal Studies from the American University's Washington College of Law, USA and an Executive Masters in Business Administration with distinction from the Arthur Lok Jack Graduate School of Business of the University of the West Indies. She is a Fulbright scholar of the Hubert Humphrey Fellowship Programme. She is also a Georgetown University Leadership Fellow and a Commonwealth Judicial Education Institute Fellow. Judge Thomas-Felix is fluent in English.